When Jagger was about 2 weeks old, I noticed one afternoon that my left side was getting sore. Knowing the warning signs for mastitis, it slightly concerned me. By 5 o'clock that evening it was so painful nursing Jagger I could barely sit still. While I'm sitting there I am hit by a wave of intense chills. I am FREEZING and shaking uncontrollably. …without entirely burning my flesh off. I couldn't get in the shower fast enough and was this close to crying cause I felt so awful. I think I freaked my husband out pretty good with that one since he's seen me cry all of twice. He had been sick all week as well and all I could think was "I can NOT get mastitis right now!" and put on like 20 layers of sweats and then pump. 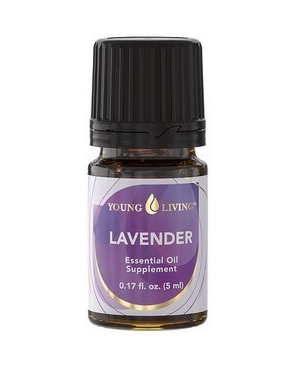 After pumping I rub lavender oil on the sore spot and up into my armpit. Then I crawl into bed, feeling like I have the flu, and try to sleep. After I wake up and can somewhat function I get to work. To battle the infection from within I take probiotics, garlic, vitamin C and drink lots of water. You need to keep nursing and pumping - no matter how painful - as much as possible. While nursing and pumping I would use a warm compress to encourage blood flow. And then I applied lavender oil to the sore spots in the morning and before bed. With the way I felt (like death) I was sure a full blown infection was inevitable. (other than almost blacking out while making my breakfast, yikes). By the next day I was almost completely back to normal! helped the most with the inflammation. but would not have worked into my system fast enough to rid me of the infection. What I had may or may not have been a full blown infection. My symptoms would say yes but the time frame (2 or 3 days) would say no. my healthcare provider would've wanted me on antibiotics. Which I would not want to take with a nursing infant. I'm so glad I thought to use my oils and had what my reference guide recommended! I had a similar experience, used lavender and Melaleuca (hot shower, hot compress, etc...) Love my oils! !